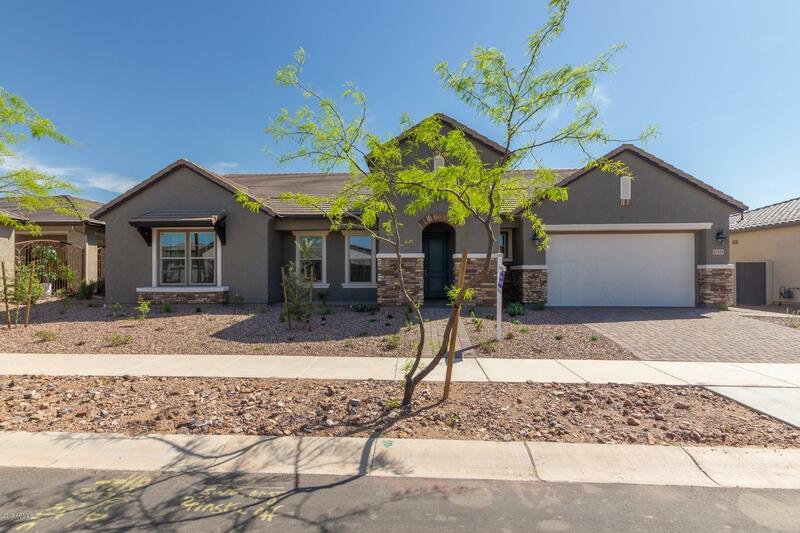 All ENCORE AT EASTMARK PARCEL homes currently listed for sale in Mesa as of 04/23/2019 are shown below. You can change the search criteria at any time by pressing the 'Change Search' button below. "New home ready now! Wonderful home featuring great entertainer flow. You enter the home through a lovely secluded courtyard. Hardwood flooring in the living area highlights this bright open home. The large dining room features a butler's pantry and welcomes you and your guests as you enter the home. The kitchen features upgraded built in appliances complete with hood and vent column. The master bath is amazing with a walk in shower huge linen and his and hers closets. 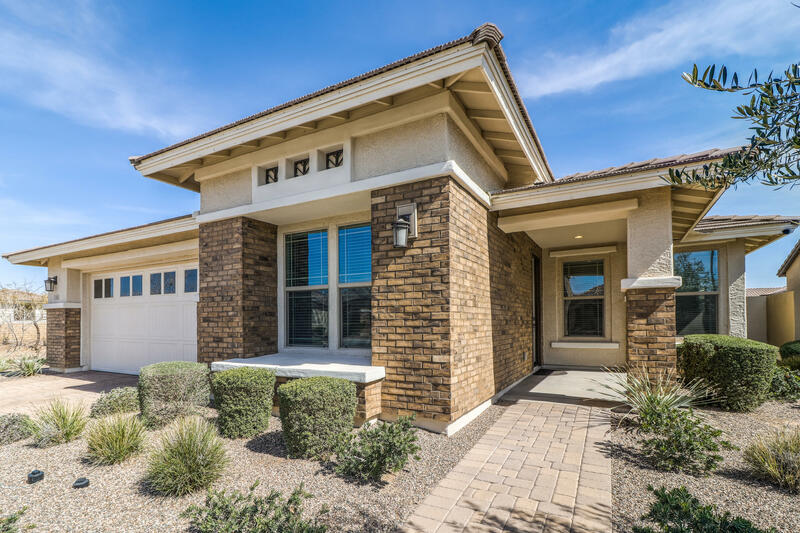 The den is secluded at the "
"This beautiful home is located in the highly sought after Encore at Eastmark, allowing for full access to all the amenities this amazing development has to offer. This highly upgraded home features 42'' dark hardwood cabinets with light neutral quartz countertops. Jen-Air appliances, including gas range/oven and built-in second full electric oven/microwave combo. Tile floors and upgraded wood window coverings, including unique barn-door style louvered covering patio glass doors. As one of the"
"Craftsman Style dream in the one-of-a-kind community of Eastmark. Modern elegance is the only way to describe this home. The split floorplan boasting two full master bedrooms plus a bonus den. The kitchen is straight out of a magazine with custom shaker cabinetry, sparkling white quartz countertops and tying it all together is the glass tile backsplash. Stylish yet highly practical are the tile floors flowing room to room with a beautiful wood grain design. The backyard is the heart of the home." "SOLD IN 1 DAY !!! FELL OUT OF ESCROW BUYERS LOSS!! IGNORE DAYS ON MARKET FELL OUT MARCH 15.19 ALL INSPECTIONS AND REPAIRS COMPLETED !! YOU HAVE NO REASON TO WAIT FOR A NEW BUILD !! 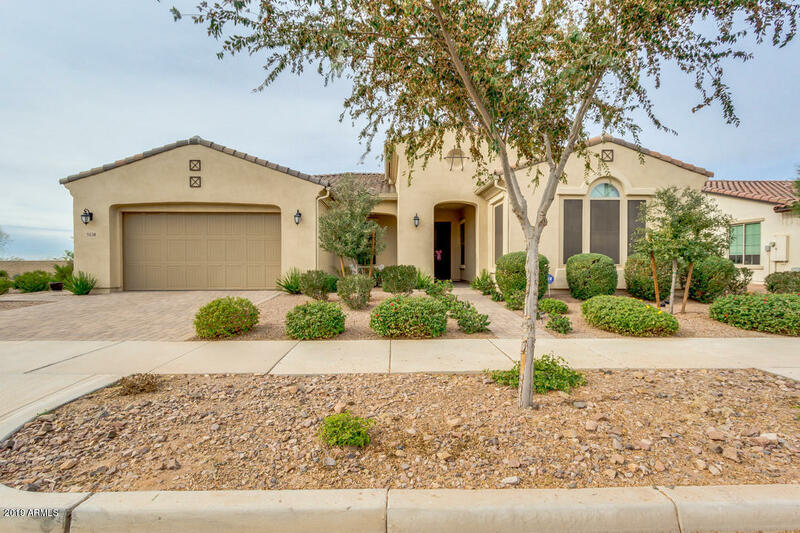 THIS HOME IS BARELY ONE YEAR OLD AND HAS ALL THE BELLS AND WHISTLES YOU CAN THINK OF,UPGRADES GALORE INCLUDES HIGH END GRANITE, UPGRADED STAINLESS APPLIANCES, GAS RANGE, TONS OF EXTRA LIGHTING AND CABINETRY THRU OUT THIS GENTLY USED HOME . YOU WONT FIND ANY CARPET HERE EITHER THE SELLERS HAVE WOOD LIKE TILE THRU "
"Looking for a new place to call home? 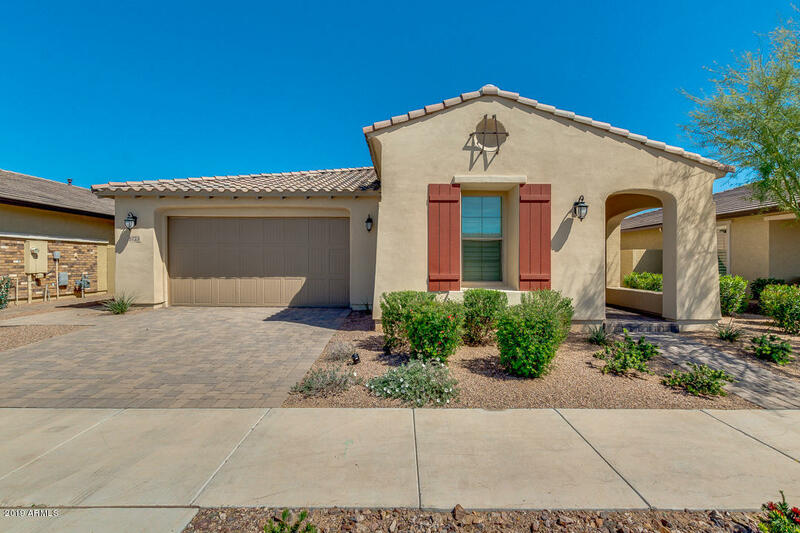 Then this fantastic 2 bed, 2.5 bath property now for sale in Mesa is just for you! 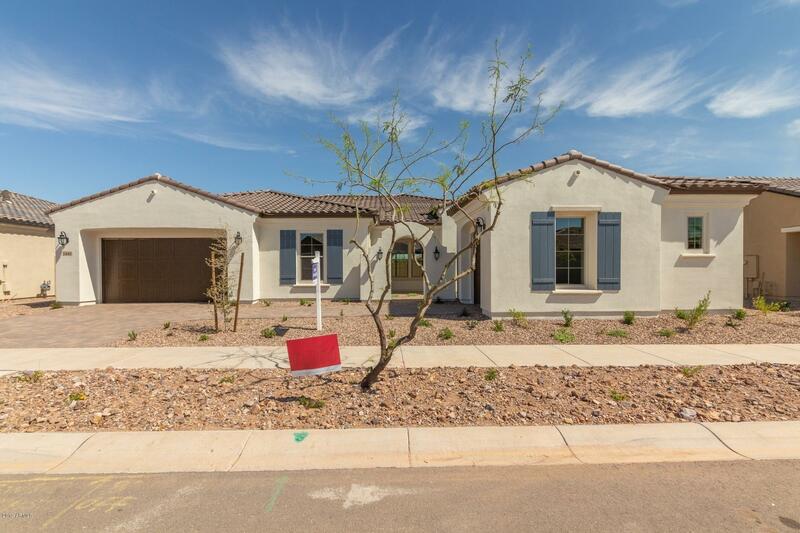 The exterior of this home features desert landscaping and a 2 car garage. 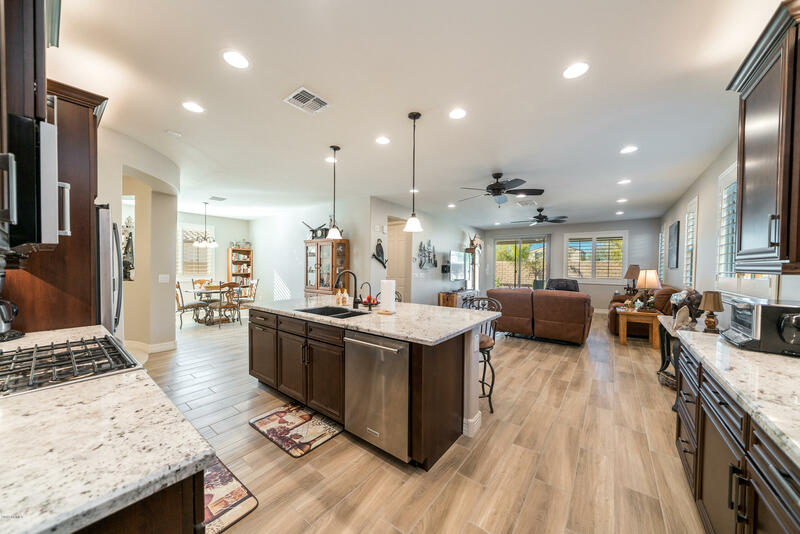 Inside you'll find formal dining and living areas, a cozy den, neutral paint throughout, and a luxurious kitchen comprised of ample cabinetry with granite countertops, a walk-in pantry, and a charming island complete with a breakfast bar. Kick back and relax in the beautiful master bedroom, which include"